The challenge was keeping everyone focused on their fishing as it was easy to wander off mentally and then miss the bites you did get. The good news was we found some big fish this week as one of my days produced a 7lb. 9 oz. monster that had eyes the size of half dollars. 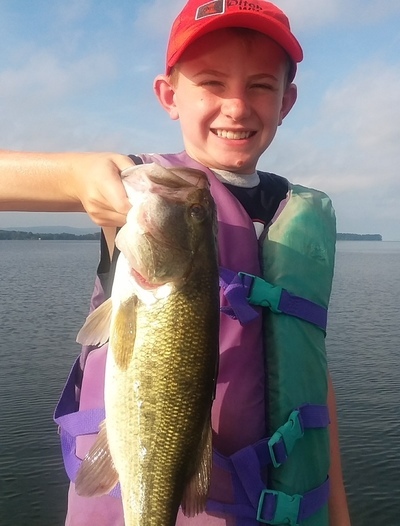 Bites are stingy, and focus is the key but it’s still fun and being on the water beats a day at work for most. We stayed fishing in 20 ft. of water most of the week, fishing Missile bait “48” stick baits, top water baits and Tight-Line swim jigs most of the week. Come fish with us we have guides and days available to fish with you, no one will treat you better or work harder to see you have a great time on the water. It’s a good time of to book a teaching trip and focus on your Lowrance electronics. We fish with great sponsor products, Vicious fishing, T&H marine, Duckett Fishing, SPRO Fishing, Navionics, Boat Logix Mounts and more.